"Not to worry, Skipper," says Barbie. "When I get back from school I will debug and make a fix for the virus." "Yes! 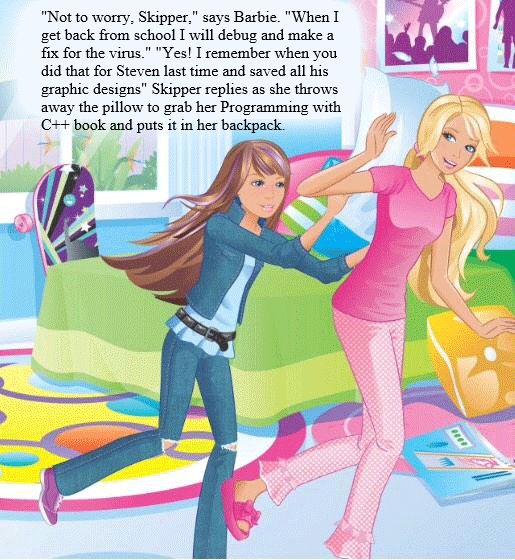 I remember when you did that for Steven last time and saved all his graphic designs" Skipper replies as she throws away the pillow to grab her Programming with C++ book and puts it in her backpack.